Fraser Yachts is the world's leading full service yachting company with over 150 employees and 11 international offices. Fraser Yachts specialises in yachts over 30m, offering superyacht charter, luxury yacht sales and super yacht construction, as well as yacht management and crew-placement services. Relevance has been the digital marketing agency behind Fraser Yachts since 2009. "As the world leaders in a wide range of luxury yacht services, it's important that Fraser Yachts ranks highly in Google for a number of search terms. Relevance has advised, assisted and guided us through the complex world of SEO to ensure we meet our objectives. I've not found any other company that matches their expertise, attention to detail or results." 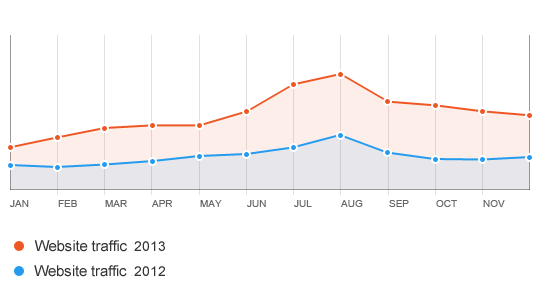 "Relevance Web Marketing have consistently achieved outstanding SEO results for Fraser Yachts over the last three years. They are hard working and their services represent excellent value compared to some of the bigger agencies." "Rumble and his team have been providing SEO Consultancy services to Fraser Yachts for a number of years and have helped get the company to the top positions on many of our key search terms. Rumble is constantly on the look out for ways to improve our rankings or ensure that we stay at the top and he is always full of new ideas, his enthusiasm for this topic is never ending. He is a pleasure to work with and accepts each new challenge we set him with relish." Fraser Yachts is arguably the most visible yacht agency on Google search engine for the most sought after and competitive yachting keywords for charter, sales, and management. 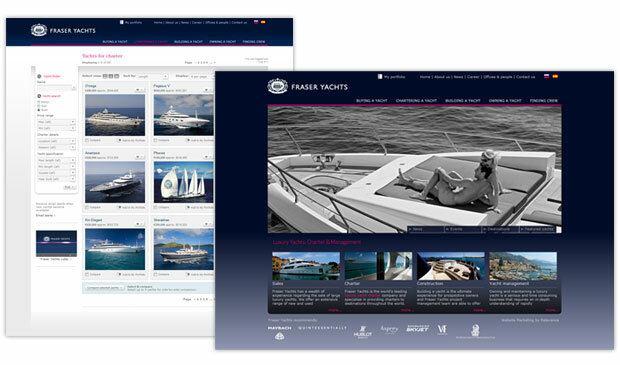 Relevance Web Marketing works with Fraser Yachts as their online yacht marketing company in France, USA, and UK. Heightened visibility on Google, search engines and social medias, lends to increased internet visitors, leads and branding, which increases sales. 2013 has shown that yacht charters sales have doubled in 2012 on 2011 and they are the number 1 boat sales company worldwide selling many more boats than the competition.